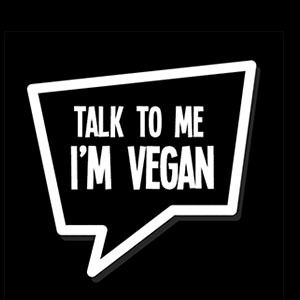 Brownie, pancake and hot chocolate recipes mixes which are also egg free, dairy free and suitable for Vegans. 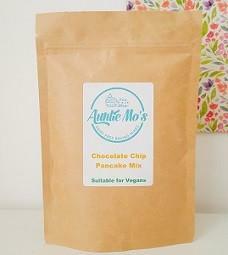 Auntie Mo’s mixes make baking so fast! 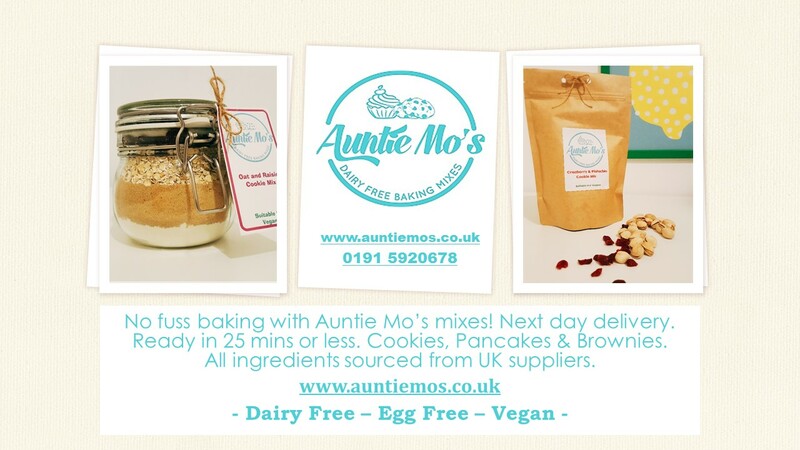 Every jar and pouch of dairy free and egg free cookie or cake mix produced by Auntie Mo’s is still handcrafted on our own site using ingredients from only UK suppliers. 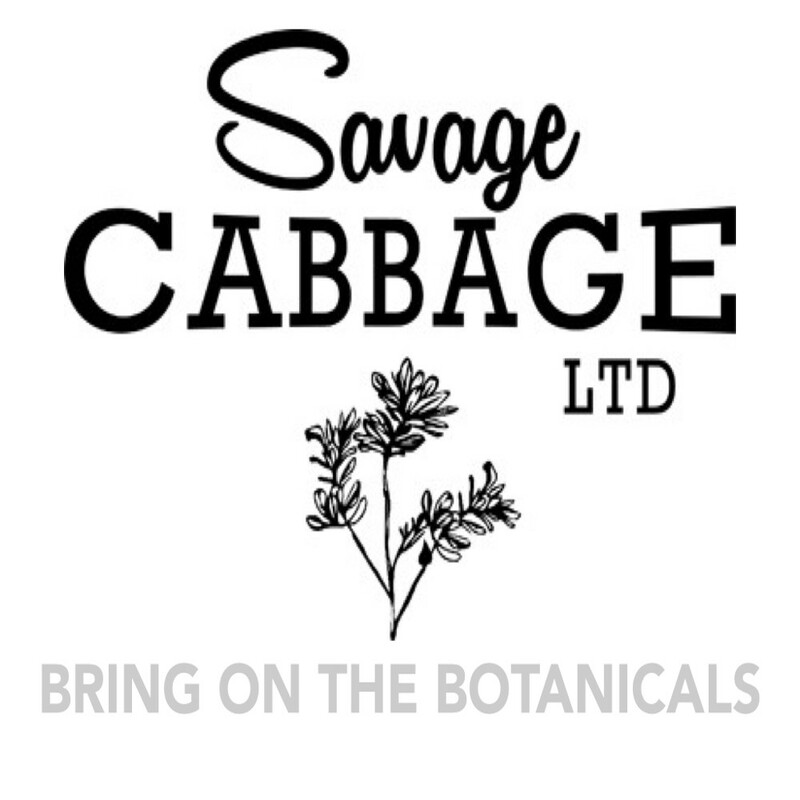 I promise that our production facility will remain 100% egg and dairy free forever so that you can enjoy with confidence. 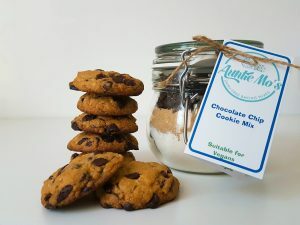 Almost all of our mixes are ready in 15 minutes, from opening the pouch or jar, to letting the cookie cool, we believe in the minimum amount of fuss! 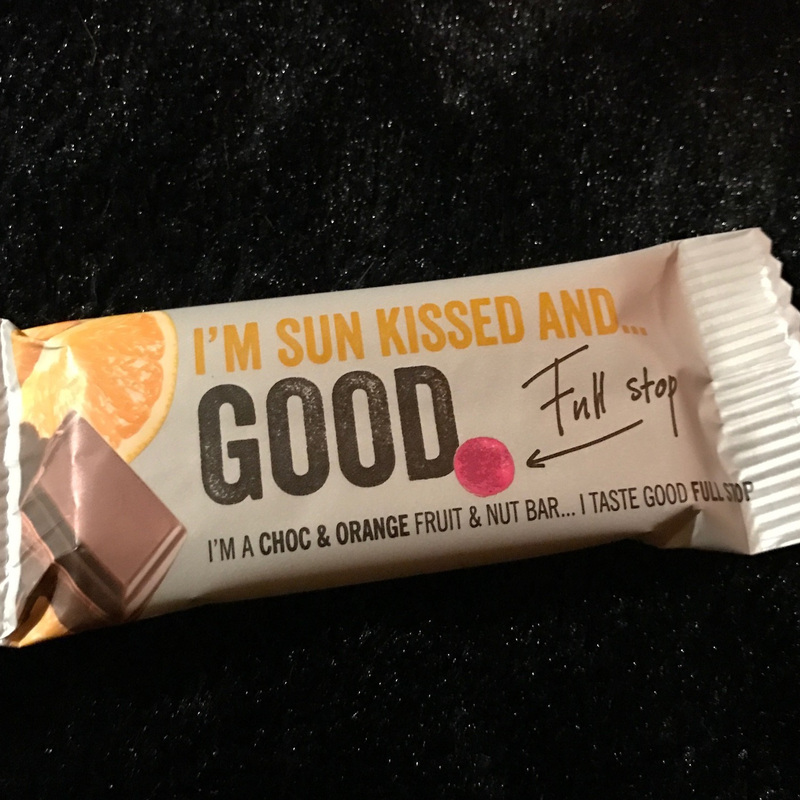 When you buy from us you know you will have a delicious dairy and egg free treat, suitable for vegans, on the table in minutes without any messing about. 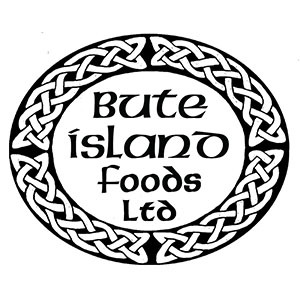 All you ever need is a little oil, a little water and sometimes a few spoons of vegetable margarine.